Centre for Public Policy Research (CPPR) organised a video conference on the topic ‘Modi in the US: What can India Expect?’ on June 23, 2017. The panel consisted of Dr Deepa M Ollapally (Research Professor of International Affairs, George Washington University), Professor Rajeev Sreenivasan (Adjunct Faculty, IIM–Bangalore) and Vinson Xavier Palathingal (Executive Director, Indo–American Center). 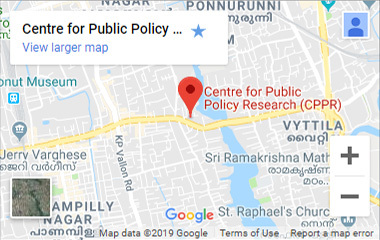 Antony Dawson D’Silva (Academic Coordinator, CPPR & Assistant Professor, Political Science, Maharaja’s College, Kochi) moderated the discussion from CPPR, Kochi. The Indo–American Center, Washington DC supported the event. 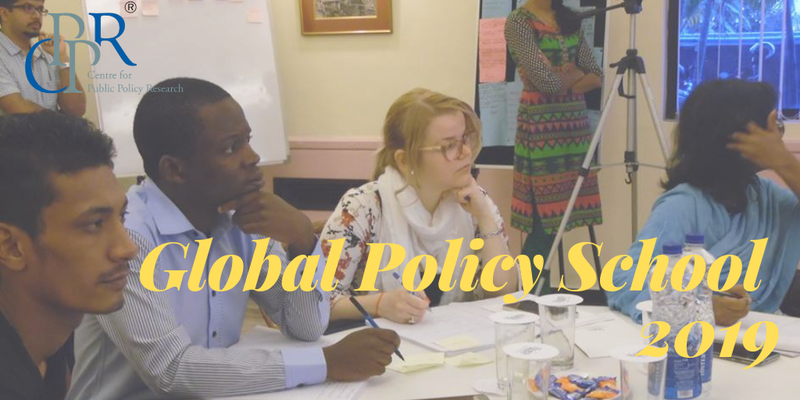 The expert panel explored India’s expectations from the summit, the challenges ahead for India in fostering its relationship with the US and the path India should take in the uncertain global political order. Panel discussion was followed by a Q&A session. With an introductory remark into the state of affairs of the Indo–US relationship, Mr Dawson declared the discussion open. The first panellist to speak was Dr Ollapally, who noted the peculiar low-key nature of the Modi–Trump meeting. “India should have low expectations of the meeting between Narendra Modi and Donald Trump. This is a platform for the two leaders to see if they can develop a personal rapport. Both Modi and Trump have reputations preceding them and it would be in their interest to keep the meeting at a low level,” noted Dr Ollappally. She said that the predictable outcome is a tweetable remark from the two leaders to show the world how fantastic the meeting went. “While Trump will be interested to see what India can offer the US, Modi will need evidence to ensure that India is on the priority list of the US. Counter-terror operations are high on the list of both India and the US. But Trump’s priority is ISIS and the Middle East, whereas the US view on Afghanistan will not be what India wants,” she said. With the North Korea crisis looming large, there is new appreciation for China, which is going to be top priority for Trump. Modi has to give proof on the rise of China and how India and the US can work together to keep it in check. The lack of a champion for India in the Trump administration who wants to push Indo–US relationship is a major drawback for Indian interests, she added. Professor Sreenivasan said that India would be positively surprised if something good comes out of the meeting. Trump, who has been in power for nine months, took a long time to send an invite to India. This clearly indicates that the country is low on Trump’s priority list. Trump sees himself as a negotiator and dealmaker, and he cannot perceive any immediate trade benefit from India. “Trump needs immediate results and there is a lack of immediate need to boost relations with India. He sees an immediate benefit in better relations with China, as China could play a crucial role in dealing North Korea,” said Mr Palathingal. Modi has an opportunity to prove that India has the resources to solve the problems of the US. India has to be pro-active and understand the US aspirations, so that Trump will respond to India on similar lines. Mr Palathingal was critical of the clamour in India over the new H1B visa policy. “The Indian IT industry is ready to take the lead in innovation and IT development, making products that are going to be the future of IT industry. Indians should not be looking for an avenue to leave the country to make a living in the US,” he said. He added that Trump supporters were opposed to the idea of Modi holding rallies and creating frenzy in the US during his visit.